Closed to vehicle access, daily winter sleigh rides on the National Elk Refuge are a unique and amazing way to see thousands of elk and other species of Jackson Hole's amazing wildlife up close. Celebrate the true spirit of winter in the Old West with a horse-drawn sleigh ride out onto Jackson Hole's National Elk Refuge. Closed to vehicle access, daily winter sleigh rides on the refuge are a unique and amazing way to see thousands of elk and other species of Jackson Hole's wildlife up close. 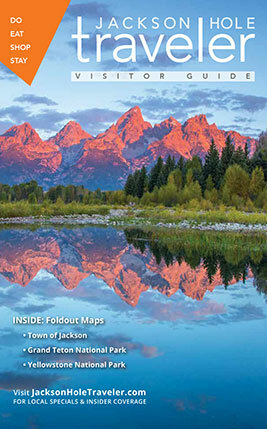 Where: Sleigh ride tours start at the Jackson Hole & Greater Yellowstone Visitor Center at 532 North Cache Street. When: Daily (except Christmas Day) from 10 a.m. - 4 p.m., Dec. 15th through April 6th. Costs: Adults $25 and ages 5-12, $15. Kids 4 and under ride for free. Private sleighs available for $450, 16-18 maximum. With a special permit to operate on Jackson Hole's National Elk Refuge, these sleigh rides are a rare chance to interact with wildlife in their own habitat. Formed in 1912, the National Elk Refuge consists of almost 25,000 acres of preserved land for its vast herd to range during winter. Initially, the sleighs that ventured out into the refuge would scatter feed for the elk while lucky guests climbed onboard for the trip to take in the views. While today's rides no longer feed the elk, they remain directly in the spirit of those early traditions. Bundle up, jump in for the sleigh ride, and most importantly, keep your eyes open for sightings of elk (obviously! ), coyotes, foxes, bison, eagles and other local wildlife. Your sleigh will be the only man-made thing out on the snowy plain of the refuge, so bring your camera for unique close-ups of the elk and glorious Teton and Sheep Mountain views. Sights here haven't changed much since the National Elk Refuge opened more than 100 years ago. This winter, from December 15th through April 6th, the Double H Bar ranch will be operating sleigh rides on the National Elk Refuge from 10 a.m. to 4 p.m. daily, and private tours at times of your own scheduling. Take a day off the slopes and experience the magic of seeing elk up close while learning about the area and the animals. Buy tickets at the Visitor Center located at 532 North Cache St., just a few blocks north of Jackson Hole's Town Square on the right-hand side. Reservations are suggested, as the sleigh rides are run on a first come, first served basis. For more information call (307) 733-0277 or 1 (800) 772-5386. If you're heading out on a sleigh ride, make sure to remember to dress warm! A warm coat, hat, gloves and boots are necessary; you will be provided with a cozy wool blanket to put across your legs on the sleigh. Temperatures out on the elk refuge can be chillier than back in town, and you want to be able to sit back and enjoy! Traveler Tip: Don't forget your camera. The beautiful scenery on the elk refuge is one of the best opportunities for photography in the winter! Related Article: Find out how to dress for Jackson Hole in the winter.